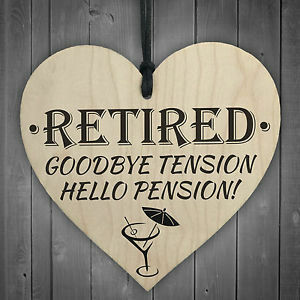 Since posting the first part of this blog, my wife and I have decided to retire completely …. And are looking at moving to live in Thailand… so selling the house cars tools and all chattels. If there are any jocks in Chiang Mai or surrounds, please give me a yell.. So ends another chapter… and a new adventure awaits. Have fun with your new adventure. ” happy trails to you …. .... until we meet again ” ! Best wishes to you on this new chapter, have some spicy drunken noodles for me! I always appreciated your kind comments on my work. Congratulations, Larry. I hope that you and your wife will have a wonderful retirement. It really sounds exciting. God Bless! I wish you luck Larry, but just because you don’t do anymore woodworking doesn’t mean you can’t still be a part of LJ’s. you have been a fixture around here for a long time, so don’t be a stranger. Enjoy your retirement, best of luck in your new endeavors. Larry You’ve made LJs a much better place, I’ve always enjoyed the PMs we have had over the years I hope your move goes well and you and your wife have a wonderful retirement. Wishing you the very best Larry. Congrats on the retirement, Larry, and wishing you and the Mrs. the best of luck in your new adventures. I have a friend who was stationed in Thailand during the Vietnam war. He showed us pictures of the country. It sure is a beautiful place. Enjoy!! Thanks for all your posts and may good luck and happy times fill your life. Wishing you all the best on your new adventure. Will miss seeing your projects and advice on ours. Michael A. Ragan USN Retired. Wow Larry that’s a big decision! Your projects have always given me inspiration, more specifically how you integrated new school equipment with old school techniques. I wish you well in your new adventure and hope it brings you and your wife new joys.